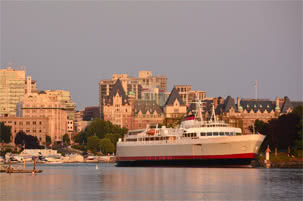 Victoria, the capital city of British Columbia, is nestled on the southernmost tip of Vancouver Island. 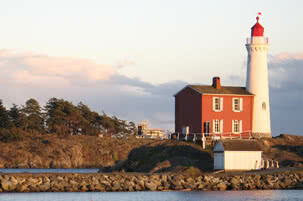 Also known as “The Garden City”, Victoria is largely considered a tourist destination, though it’s a superb city in which to live and work, offering diverse opportunities in business, an emerging technology sector, both provincial and federal government offices, and CFB Esquimalt, a naval base. Victorias’ housing market is solid; homes and property have continued to increase their value year after year. The tourism industry is a huge source of employment and tourism based business opportunities abound. Post secondary education in Victoria is provided by such top notch institutions as The University of Victoria, Royal Roads University, and Camosun, to name just a few. The public school system in Victoria is progressive, and includes several programs aimed at athlete development, francophone and French immersion programs, and well reputed private schools such as St, Michaels, St. Margarets, Glenlyon Norfolk, and Brentwood College. Victoria has an annual rainfall that is only half that of the city of Vancouver, due to it’s location in the rainshadow of the US Olympic Mountains. Winters here are so mild that snowfall is unusual, and in some winters almost non-existant! Our temperate climate causes great excitement among gardeners who are moving to Victoria, the range of plants that we can grow here is unsurpassed by any location in Canada. The moderate conditions here offer opportunities for year round outdoor activities. Perhaps it’s not particularly nice, but more than one Victorian has been known to call up relatives “back east” with smug reports of golfing at Christmastime! Biking, boating and hiking the many local trail systems is possible year round. Mt Washington, where several Olympic teams trained in preparation for Vancouvers’ Winter Olympics, is just a short drive up-island and in 2010 boasted the deepest snowpack of any ski resort in the world! Victoria’s residents are active and fit, the city promotes a full slate of organised sport, for adults and children, as well as high performance or “rep” leagues for many sports. 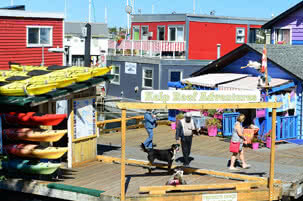 Victoria’s friendly nature embodies the famously laid back west coast lifestyle. People from all over the world have felt welcome here, as the city has grown and shed its slightly boring reputation for a vibrantly diverse atmosphere. Through the sharing of their cultural traditions, the city has been enriched, and a thriving arts and music scene nurtured and strengthened. In the older neighborhoods of Victoria the architecture reflects the city’s European heritage, combined with a distinct West Coast style that is influenced by the natural beauty that surrounds us. This style is contemporary yet uses natural materials like rough cut cedar or fir, stone accents and lots of glass. The temperate climate makes huge windows and walls of glass both feasible and desirable. Homes and property in Victoria have been, and are expected to continue to be a solid investment. Please take a look at my current Victoria real estate listings. Offering above average income levels, outstanding choices in education, low crime and unemployment rates, a vibrant real estate market, a reasonable cost-of-living and undoubtably the best climate in Canada, MoneySense magazine recently ranked Victoria the #1 place to live in the country! Altogether, we concur, and hope that soon you wil be able to call Victoria your home.